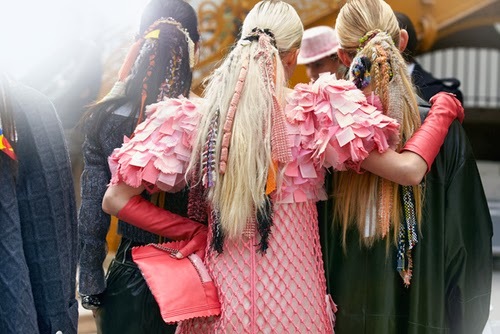 We all love CHANEL and we all love surprises. 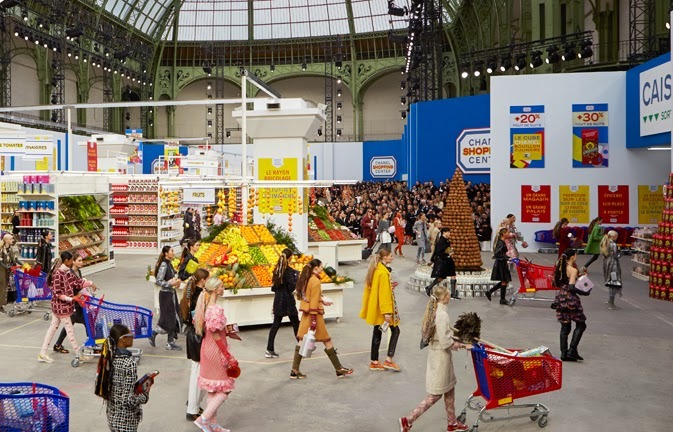 Karl is the fashion legend knowing how to surprise his fashion audience, in addition his location of F/W 2014 Pret - a - porter fashion show took place in Gran Palais in Parisand has literally has turned into a SUPERMARKET and not only. 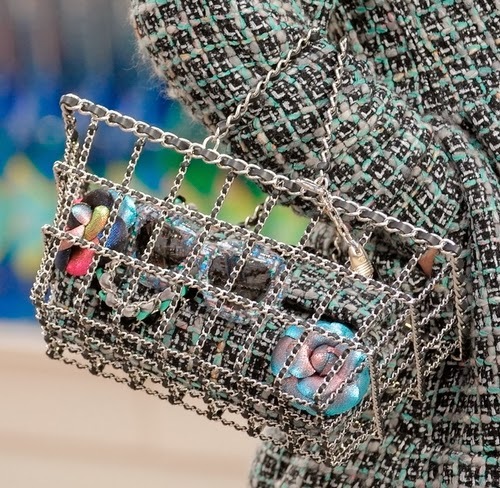 The products took over carying the names such “Cambonay,” read Camembert cheese, a play on the Rue Cambon, the street on which Coco Chanel once worked and where Chanel still has a store. “Elsa’s black rice — forbidden to great couturiers,” read a label that evoked an argument between Coco and Elsa Schiaparelli. Supermarket is the place where normal people go every day as Karl wanted to point to ordinary women, models as well. CARA goes there too by the way :) The collection was sporty chic.Tweeds, long coats, sneakers in higher version, wide bright colors. Definitelly smart move of KARL...Do you like it ??? Ho già sentito parlare di questo evento, a dir poco stravagante. Ciao se ti va vieni a vedere il nuovo post. Buon 8 marzo : auguri a tutte le donne. Ciao cara. Karl has a crazy mind! Love his idea!